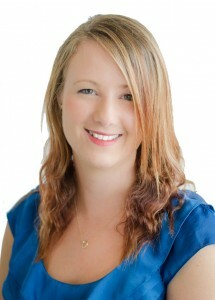 Dr. Kristina Hughes is a graduate of New Zealand College of Chiropractic. Kristina is a kiwi who spent her teenage years growing up on a farm in a small town in the lower north island. After much deliberation and thought as to what to do after finishing school Kristina’s future was clear after visiting a chiropractic practice for the first time and realising she had finally found what she wanted to do with the rest of her life. Kristina attended Massey University in Palmerston North and worked at the famous Mangatanoka Tui brewery while doing her pre chiro study. After achieving great results she left the sheep, cows and thoroughbred horses bred by her parents behind and moved to the big city of Auckland and started on her dream of studying at the New Zealand College of Chiropractic. After four years of study and a brilliant student practice Kristina graduated from the New Zealand College of Chiropractic in 2011 and decided to stay in Auckland to live and work in the city she now calls home. Kristina is a gifted swimmer and is great with younger children as she has a younger brother who is 7 years of age. Kristina loves giving chiropractic care to people of all ages and to help them reach their full potential.